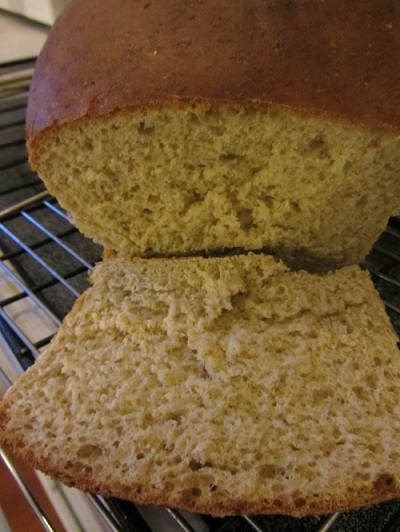 This wonderful oatmeal bread came from one of my favorite food bloggers Ann from Sumptuous Spoonfuls! She reworked a recipe from King Arthur Flour and this delicious bread can be made in your bread machine and then baked in your oven. She has added white whole wheat flour and vital wheat gluten to add health and give it better rising abilities. 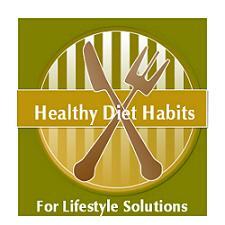 It's yummy and making your bread at home is a great healthy diet habit to adopt. If you have examined the food labels from store bought bread, you will know what I am talking about. There are many dough conditioners and the ingredient list is huge. Plus bread is getting very expensive and making your own at home is a frugal lifestyle solution. This bread slices well and just turned out perfect with so little time involved! I love it! Place all of the ingredients in the order listed into your bread machine, and program the machine for the dough cycle. Press the start button. Check the dough after a few minutes. The dough should hold together well and form a nice ball. I added the extra 1/4 cup of milk at this point, because my dough was dry. When the cycle is done, remove it and shape it into a log and place it into a lightly greased 9x5 inch bread pan. Cover the pan with a clean kitchen towel and let it rise in a warm place for 1 to 1 1/2 hours until it has risen 1 to 2 inches above the top of your pan. Bake the bread in a preheated oven 350 degrees for 35 to 40 minutes, until it sounds hollow when you thump it. If it seems too brown, use foil and form a tent over the top. I did not need to do this! This oatmeal bread was really great! You won't want to make it if you don't plan to make it often, because you will be spoiled and store bought bread will lose its appeal! In my humble opinion, there is no excuse to buy bread at the store! You can pick up a bread machine at a garage sale for $5, and make so many healthier bread options at home. 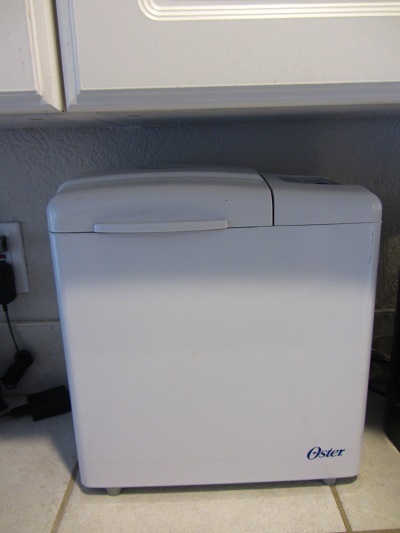 My bread maker has earned a spot on my counter!